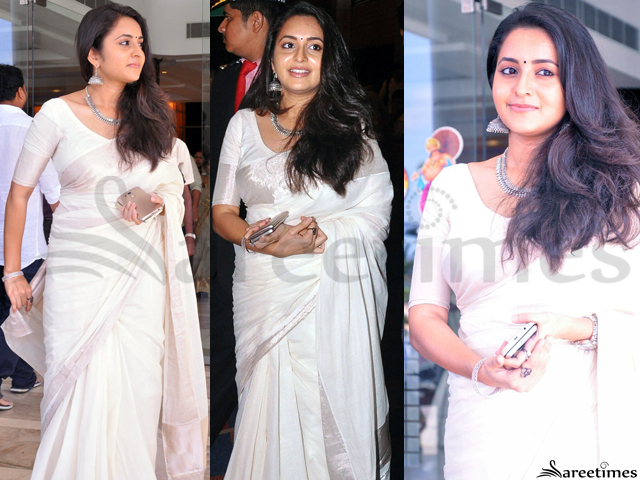 Actress Bhama was spotted at a recent event wearing a white color silk saree with zari border and she paired it with a matching elbow length sleeves blouse. 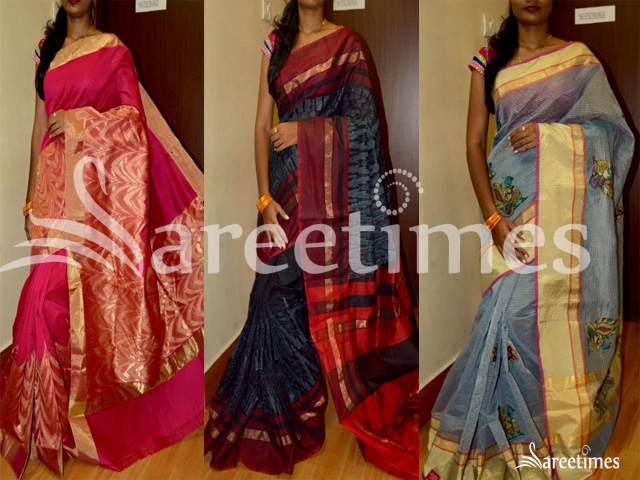 Latest designer silk saree collection by Srihita Exports. 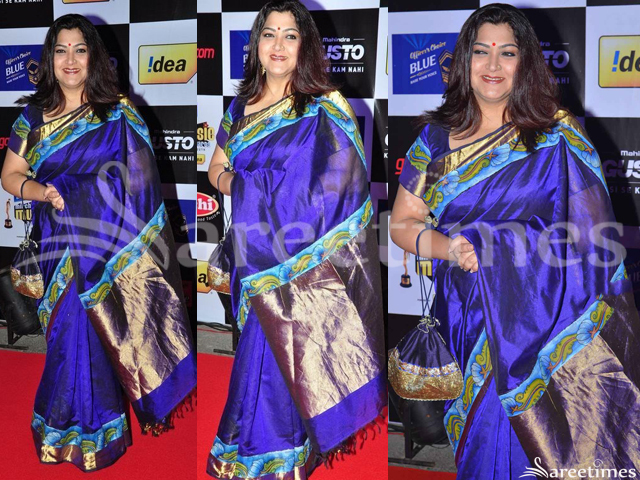 Khushbu Sundar attended the Mirchi Music Awards wearing a royal blue silk saree having golden border, paired with a matching, round neck short sleeves blouse. 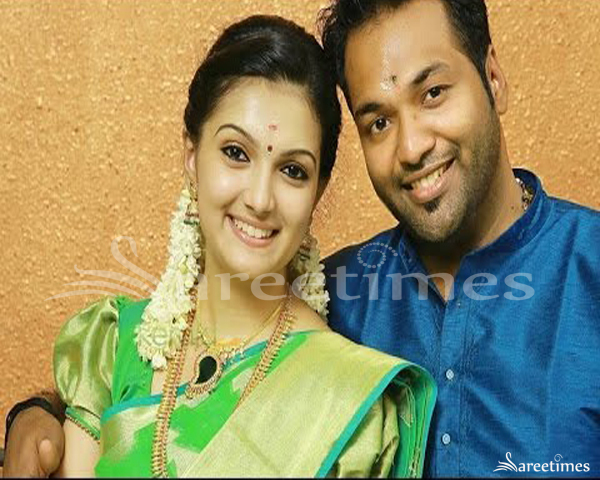 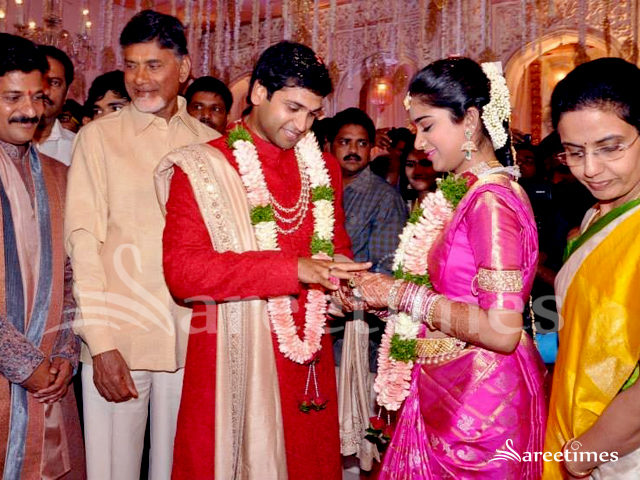 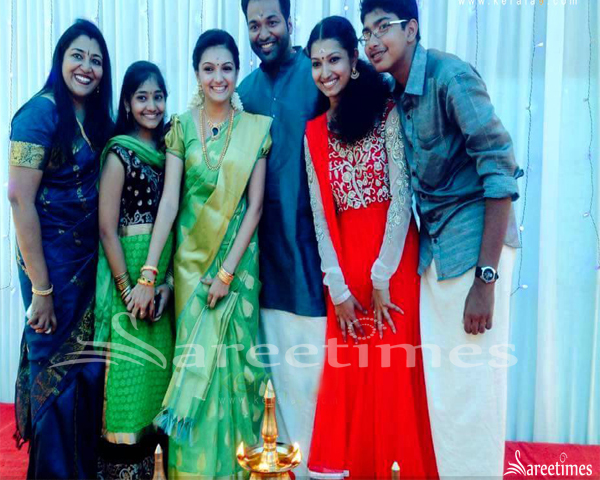 Actress Saranya Mohan got engaged to Aravind Krishnan. 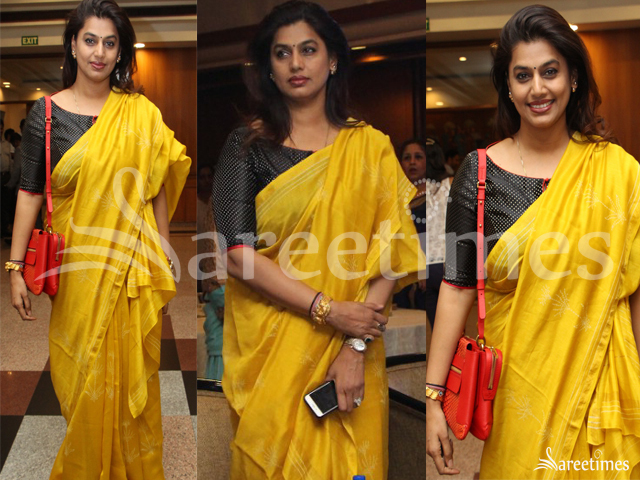 She wore a green silk saree paired with puff sleeves blouse. 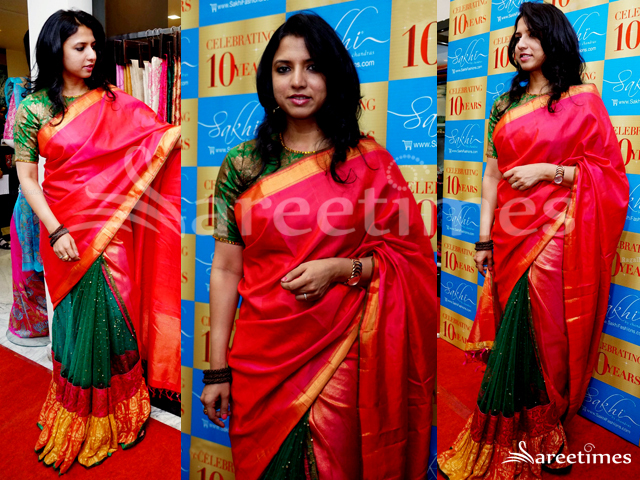 Sakhi Fashions owner Neeta Rajendran in half and half saree featuring green embellished net pleats and red silk pallu paired with closed neck brocade blouse. 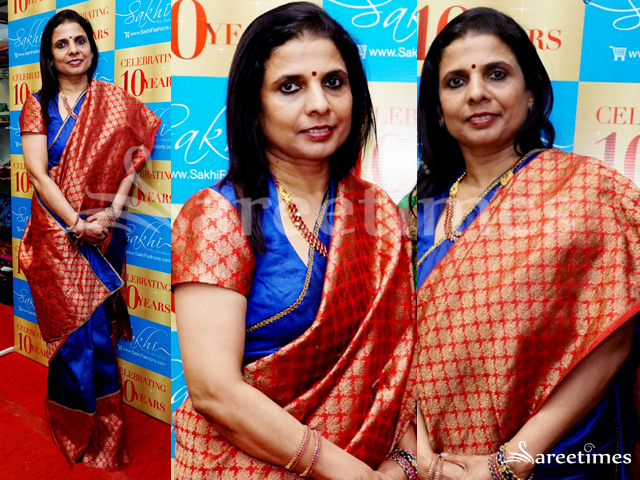 Sakhi Fashions owner Chandra Rajendran in blue and red combination half and half silk saree. 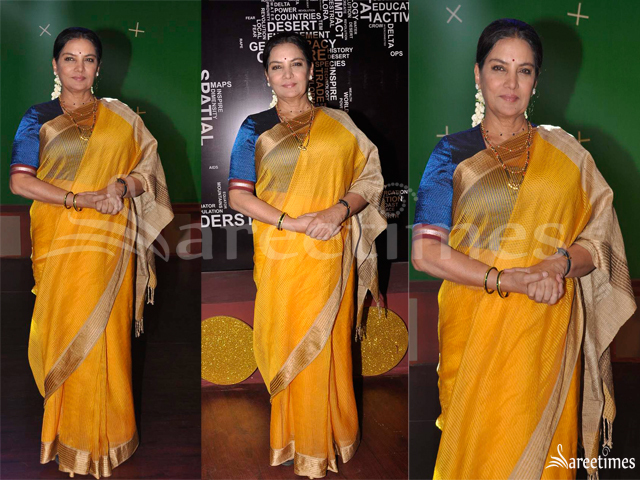 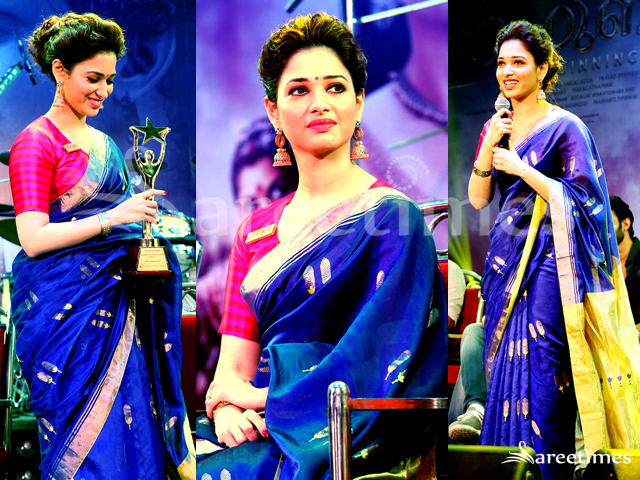 Tammanna Bhatia at Bahubali Malayalam audio launch in royal blue raw mango silk saree paired with a pink blouse. 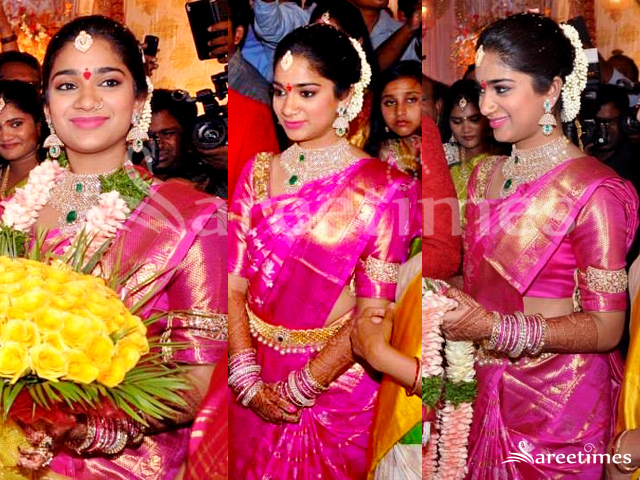 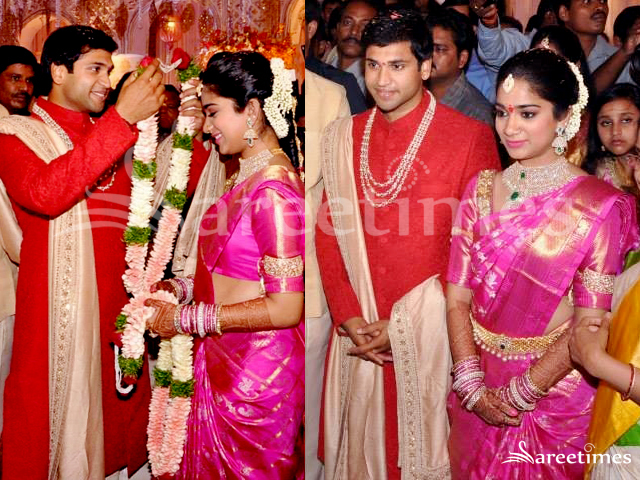 Nymisha Reddy clad in traditional pink Kanjeevaram saree paired with matching blouse, at her engagement with Satyanarayana Reddy. 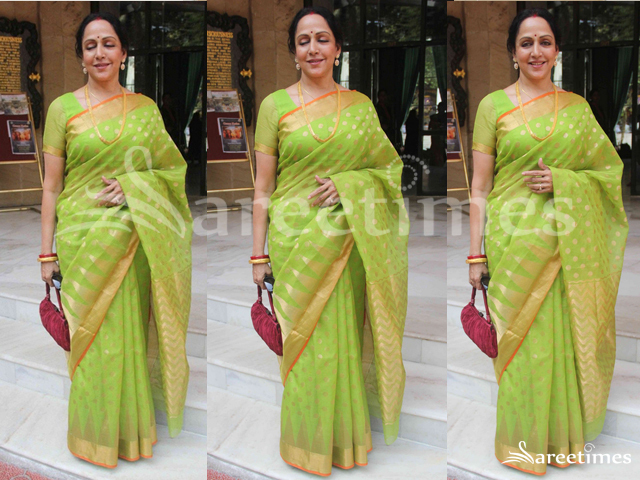 Hema Malini at Nishka Lulla and Dhruv Mehra’s wedding in a parrot green light weight silk saree with gold zari temple border and gold bhutis all over paired with matching blouse. 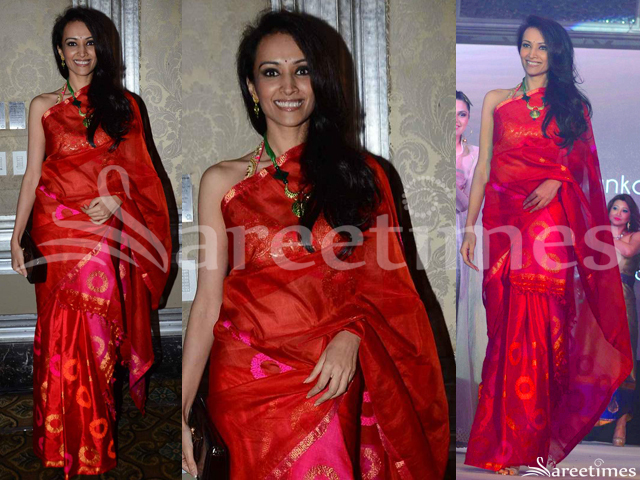 Vishakha Singh at ‘Shan He Gu Ren’ Screening at 68th Annual Cannes Film Festival 2015 in pink raw mango silk saree. 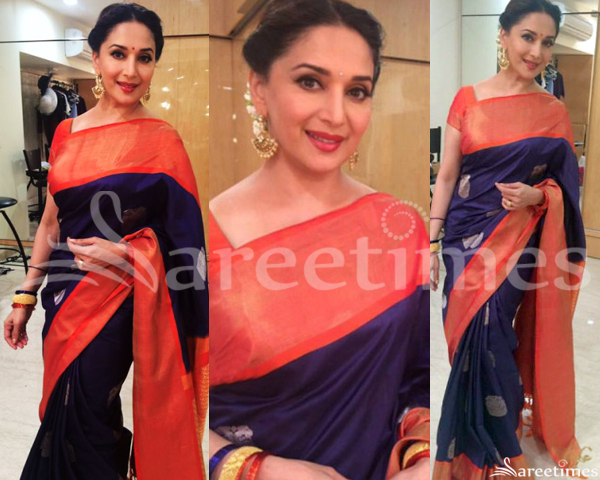 Zari weaved motifs all over the saree followed by zari border paired with brocade sleeveless round neck blouse.